A first for the coastal town of Broome in this year’s popular Shinju Matsuri Festival of the Pearl, is the Roebuck Bay Working Groups’ short film festival to be held on the 3rd of September. 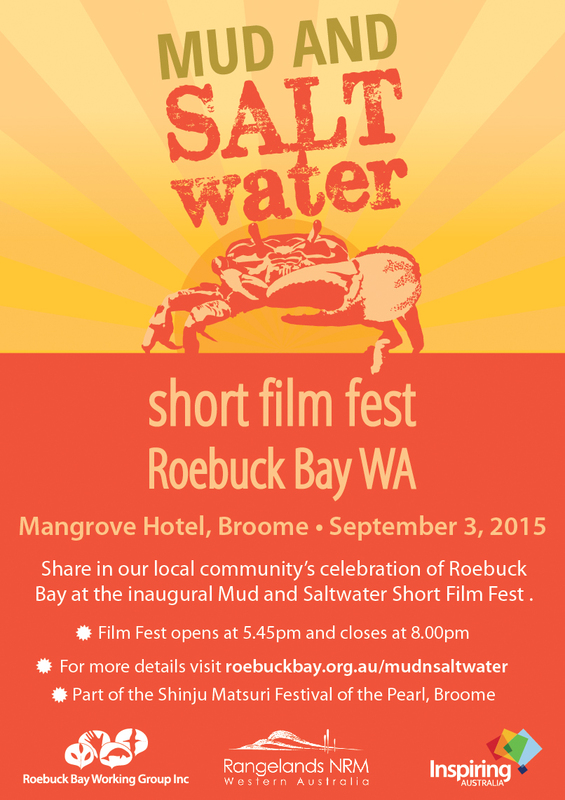 The Mangrove Hotel, with its sea eagle view of Roebuck Bay is the picturesque location for the FREE Roebuck Bay MUD AND SALTwater SHORT FILM FEST. Roebuck Bay Working Group Project Manager, Kandy Curran, said the films that have been received for the festival are of a high standard and exceptionally diverse. These include films with mock interviews with Roebuck Bay’s marine life, Yawuru Rangers showing how they look after Yawuru country, stories of the bay’s multicultural history, whacky footage of mud dwellers, underwater footage of dolphins and out of water experiences with humpback whales, cyclone surfing, a cultural story told through the eyes of a young girl and the dilemma of whether to fish with a best friend or go to the movies with a dream girl. 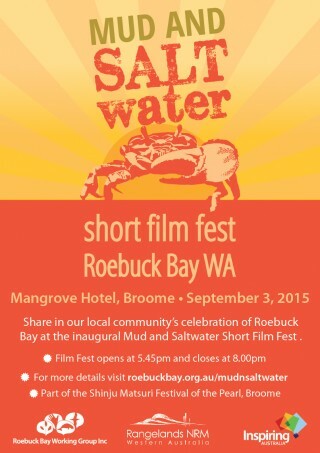 The ROEBUCK BAY MUD AND SALTwater SHORT FILM FEST is an initiative of the Roebuck Bay Working Group and is funded by Inspiring Australia and Rangelands NRM. 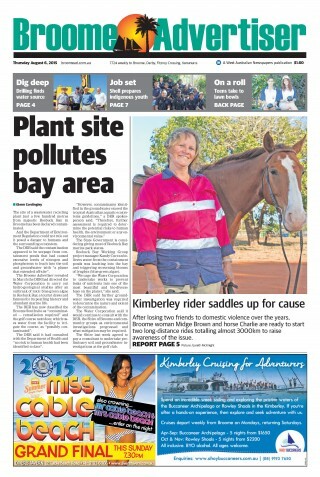 “Plant site pollutes bay area” is the front page story in this week’s Broome Advertiser. The Roebuck Bay Working Group is urging Water Corp to undertake works to prevent leaks of nutrients into Roebuck Bay, one of the most beautiful and biodiverse bays on the planet.